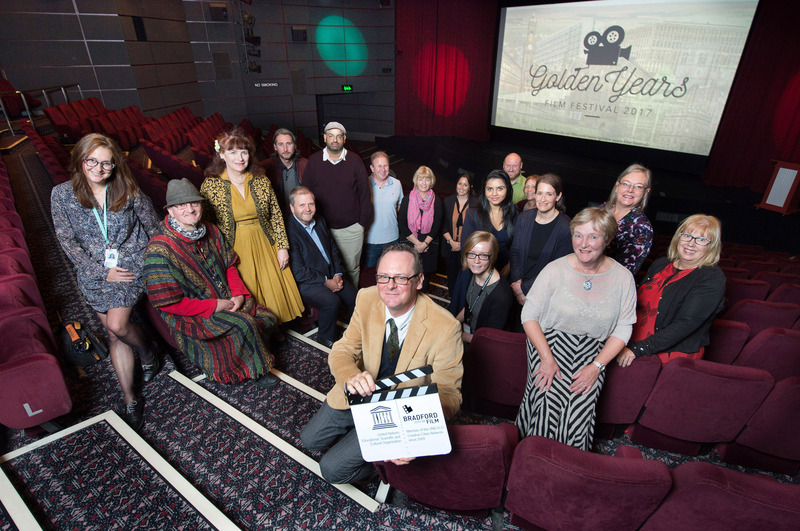 David Wilson launches the Golden Years Film Festival with partners and sponsors at the Pictureville Cinema, Bradford. 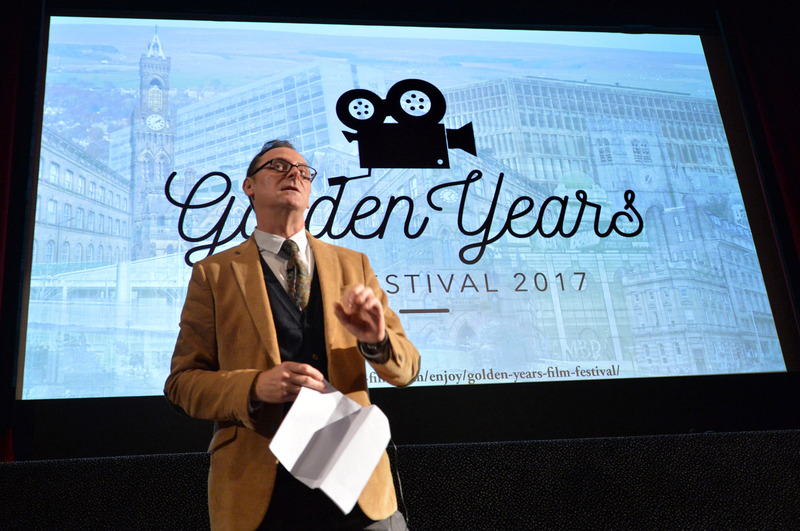 The Golden Years Film Festival team is gearing up for six days of exciting films and events launching on Saturday in Bradford. The six day festival hosted by Bradford UNESCO City of Film in partnership with Picturehouse at the National Science and Media Museum opens Saturday afternoon with special guest and veteran broadcaster Esther Rantzen. The festival – aimed at an older audience but open to all – has a top billing of films, events and discussions with broad appeal. Most events will be held at Picturehouse Bradford but there will also be screenings at the Bradford Club, Delius Arts and Cultural Centre and Clayton Village Hall. The line up for the rest of the week starts on Sunday 1st October with a special event celebrating JB Priestley, Bradford’s famous writer. This will include a screening of the film written by him, Look Up and Laugh in the Pictureville Cinema at Picturehouse Bradford. On Sunday afternoon, Clayton Community Cinema will screen Some Like it Hot starring Marilyn Monroe at the Clayton Village Hall. On Monday, working in partnership with the BBC, there’ll be a free screening of the moving portrait of the Bronte sisters, To Walk Invisible preceded by a Q&A session with Ann Dinsdale, Principal Curator of the Bronte Society and the Bronte Parsonage Museum. Ann also played an advisory role for the production team as they filmed around Haworth. On Tuesday at Picturehouse there will be a fascinating archive session on Life on the Home Front hosted by Bradford and District Age UK before a sing-a-long screening of the musical classic Calamity Jane. Staying with musical comedy, The Band Wagon – starring Fred Astaire and Cyd Charrise – will be screened on Tuesday afternoon by the Creative Stroke Recovery Group at the Delius Arts and Cultural Centre. Wednesday starts with a screening of Jailhouse Rock – dementia friendly, but open to all – and a lively jiving session hosted by Marie McCahery from the local Lindyhop to get everyone in the fifties mood all at Picturehouse. In the afternoon we screen India’s highest grossing movie, epic romance Bajirao Mastani. This is followed in the evening with classic comedy at the Bradford Club. The historic venue is opening its doors to the public for a triple bill of slapstick fun from Laurel and Hardy. Bradford’s film heritage will be profiled on Thursday with a talk from Bradford UNESCO City of Film’s Director, David Wilson before the festival finale feature film, Goodbye Christopher Robin at Pictureville Cinema. The film gives a rare glimpse into the relationship between children’s author A.A Milne and his son Christopher Robin whose toys inspired the magical stories of Winnie the Pooh.